$500.00 per team deposit is due for all teams upon registration. Canadian and International Teams Pricing CODE: 25%DISCOUNT - Use Code in the comments section at checkout. OneHockey understands that exchange rates and the additional travel expenses are not favorable for foreign teams to participate in tournaments within the United States, making it difficult for them to attend. We have made adjustments to our pricing so our friends from around the globe may experience the quality of our events without breaking the bank! If you are an international team, please select the Canadian/International team pricing upon registration. To qualify as a Canadian/International team, your organization must be located outside of the United States. This is a limited-time offer, so be sure to take advantage and REGISTER TODAY! $500 deposit due at registration, balance paid 90 days prior to the tournament. * Please note that if you are registering within 90 days of the start of the tournament, you will need to pay the FULL fee. Check payments are still accepted, but must be mailed within 48 hours of registration. Deposits may be made if you are outside of this window. OneHockey charges a little more than most other tournaments. Why? We put on an EVENT while others schedule hockey games. * Contact Shaun at shaunl@onehockey.com if you have questions BEFORE registering your team for a tournament. * Contact Sharon at sharonc@onehockey.com if you have questions AFTER registering your team for a tournament. * Contact Jody at jodyh@onehockey.com if you have questions about or are submitting your team’s rosters. Rosters should be submitted no later than 2 weeks prior to start date. ALL teams must be ready and available to play at 7am the first day of the tournament. Final games will be over by 4:30 pm on the last day of the tournament. There are no better tournaments to attend with your own team PERIOD. OneHockey tournaments have made a positive mark as some of the top tournaments in North America. We offer a great hockey atmosphere, giveaways, and most of all, great competition. OneHockey is a 5 star hockey tournament; we pride ourselves on being very well organized, with a very unique format unlike any other tournament out there. With up-tempo music during all games and throughout the rink, mascots to entertain, we have thought of everything that will ensure that our tournaments are fun! TOURNAMENT RETURN POLICY: Team deposits and payments are considered nonrefundable. Refunds for full teams will only be provided if OneHockey cancels the tournament or division your team is registered for. Any mistakes made by the applicant during the registration process shall be construed against the applicant and may disqualify applicant's team or individual player from a refund. Any and all modifications to OneHockey's Return Policy must be made in writing and signed by applicant AND OneHockey. 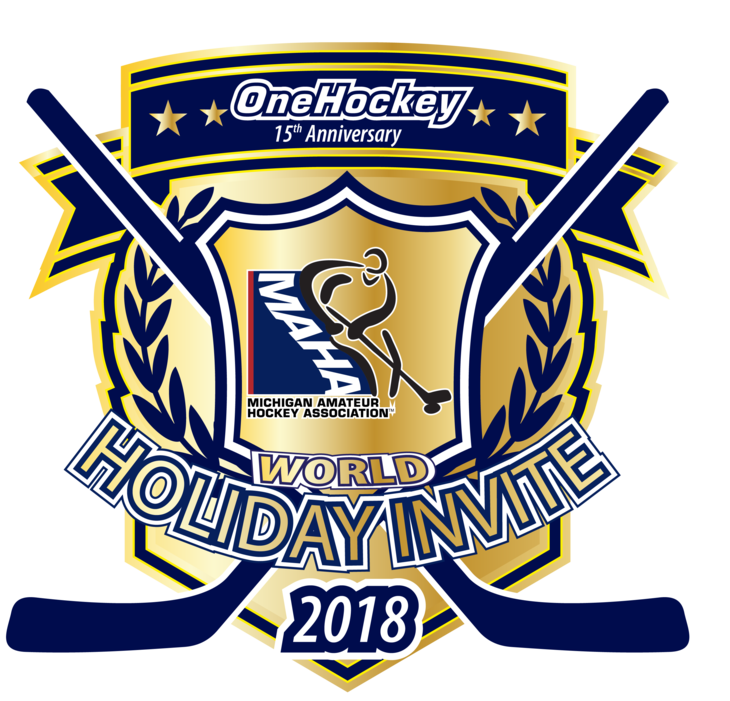 OneHockey strongly advises that all teams and players wait to make their airfare reservations until 90 days prior to the tournament when all divisions have been confirmed. OneHockey reserves the right to cancel a division up to 90 days prior to the start date of the tournament and will not be responsible for refunding airfare or travel costs associated to a canceled tournament or division.